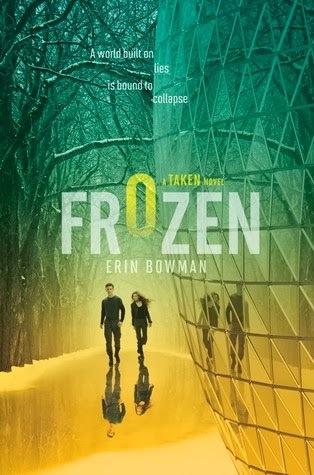 I've often sung the praises of author Erin Bowman on this blog. Her first book, Taken, which came out last spring, was number 12 on my Top 13 of 2013. My review of Taken is consistently one of the most viewed posts here. Erin is incredibly nice and always Tweets back at me and Taken was just such an awesome read. It goes without saying that I'm excited for the release of its sequel, Frozen. As the release day gets closer, I'm only getting more antsy. I can't WAIT for it to arrive. Let's take a look at it, shall we?